This project seeks to optimize the use of space in the greenhouse so that the cultivation area can be increased. This extension of the cultivation area is achieved by installing a sunken cultivation and transport corridor through the greenhouse. 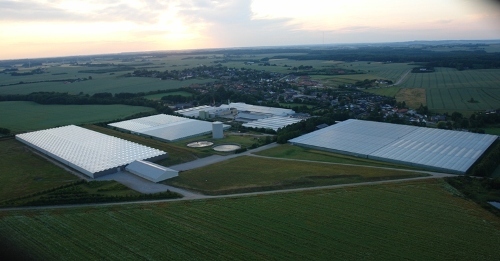 Sustainability of greenhouses in Denmark depends on the investment in large-scale production and automation. 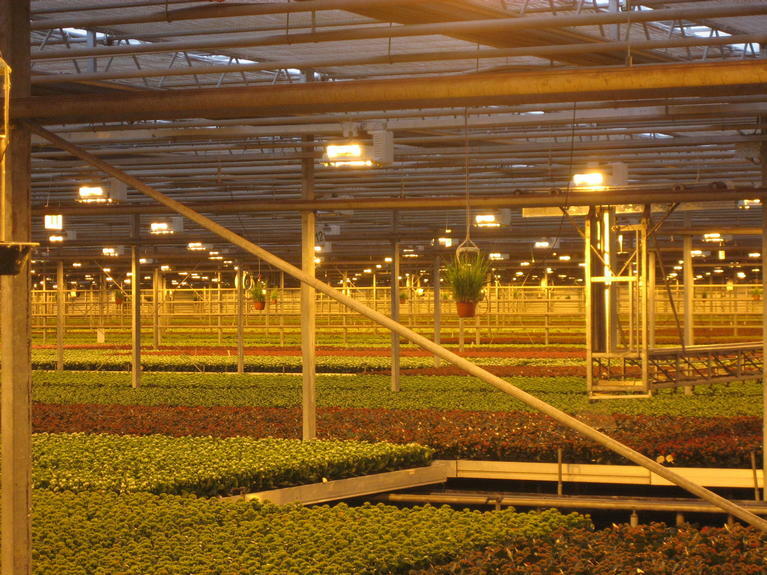 This can clearly be seen by individual greenhouses, which are steadily increasing in size and being filled with more space-demanding installations, such as packing and planting robots. This reduces the actual cultivation area, which means that a relatively large part of the heated area in the greenhouses is not utilised. This project seeks to save energy by improving the use of the area. The objective of this project is to convert the use of 2,250 m2 of energy-consuming greenhouse space to an almost energy-neutral area down in the cultivation and transport corridor. Parallel with this main project, the project holder also wishes to carry out a number of demonstration projects, whose objective is to create a better understanding of the business and the environmental considerations linked to this activity. The main activity of the project consists of the sunken cultivation and transport corridor. 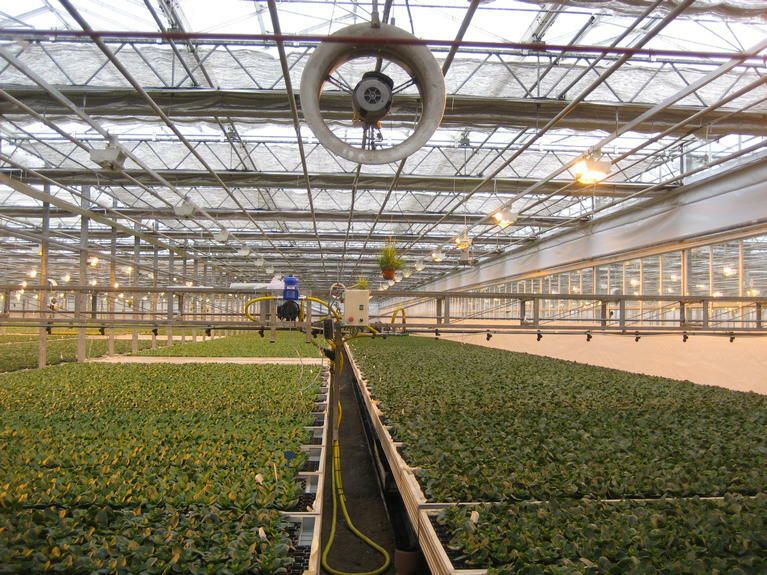 The three different levels make it possible for the conventional cultivation surface to be used exclusively for actively growing plants that require natural light, while the level below can be used to take newly-established plant material through the initial formation processes for which natural light is not necessary. The lowest level can be used to for plants that need to be kept in the dark. 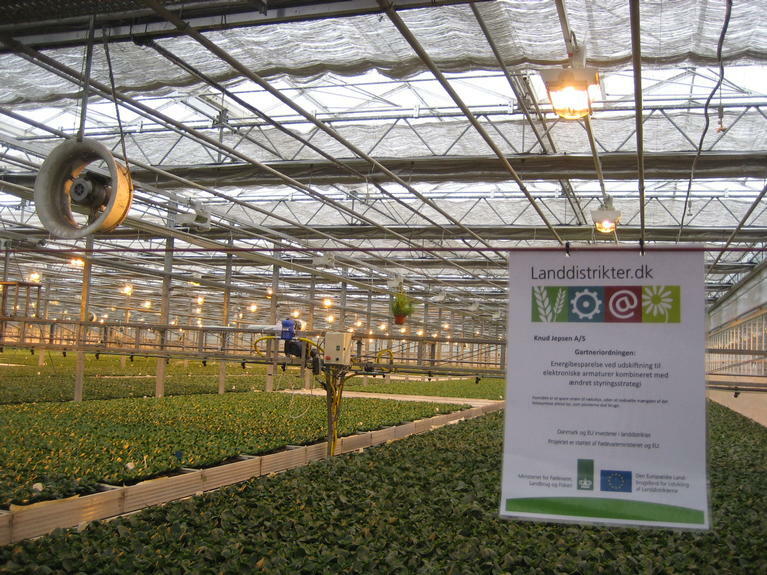 The investment undertaken has resulted in a greenhouse that is used 100% effectively all of the time, which naturally has an energy-saving effect compared with the previous situation. The project holder has thus achieved a 24% reduction in energy displacement. In addition, the newly-established cultivation corridor has provided a substantial buffer capacity of 120,000 potted plants, which is used to neutralize seasonal variations. It has become clear through the project that it is possible to utilize greenhouses fully, but that this requires an investment in the sunken corridors when the greenhouse was originally constructed. It has also become apparent that, in addition to the environmental and economic savings achieved by fully utilising the capacity, a further advantage can be achieved in the form of having a buffer area to deal with an increase in production.